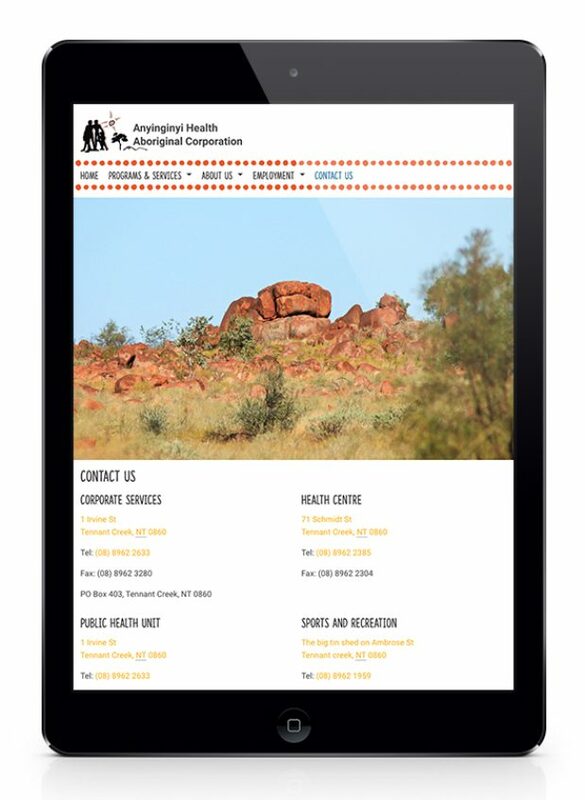 AHAC is an organisation intensely committed to closing the gap in the health status of Indigenous people in Tennant Creek and the wider Barkly area. Anyinginyi works diligently to provide the primary health care services that will make real change in improving the physical and emotional wellbeing of the lives of the people around them. 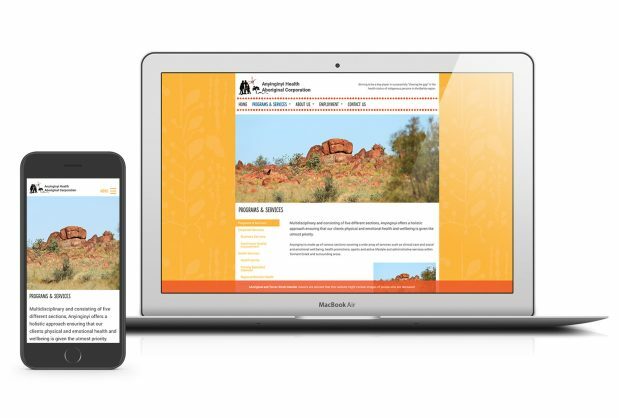 Anyinginyi needed a website that clearly demonstrated their expansive personality from the get go, communicating their ready accessibility for the demographic they work with. 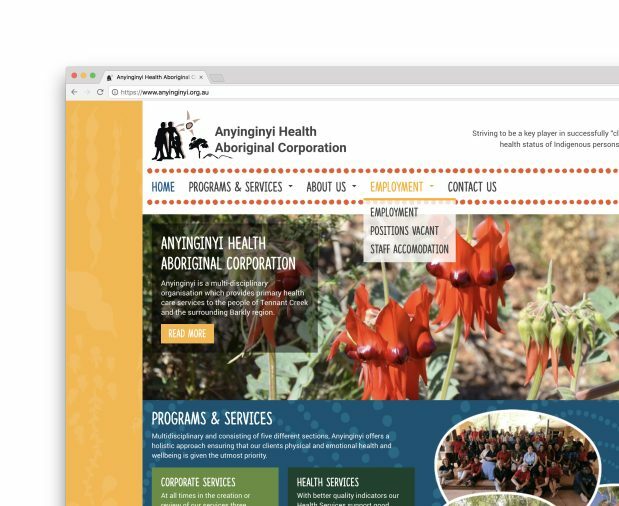 As an organisation that provides essential health services, their site needed to project positivity, and contain easy to navigation aids in order for clients to seek appropriate help. On the resulting website, Anyinginyi’s vitality bursts from the screen, born from the visual identity our Design Studio had previously created. 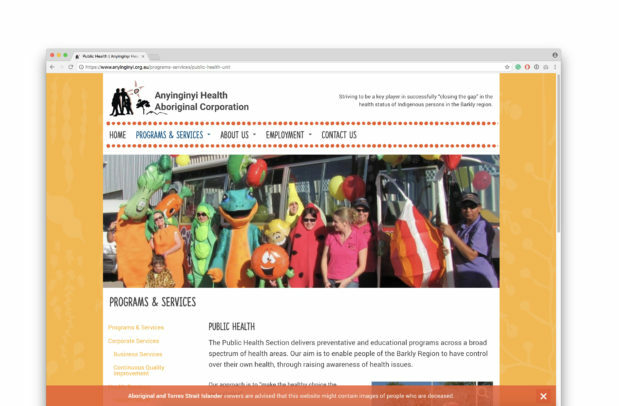 The bright colour and bold use of stunning imagery combine with clearly labelled, logical layout of information hierarchy to make information gathering and services researching easy for all. 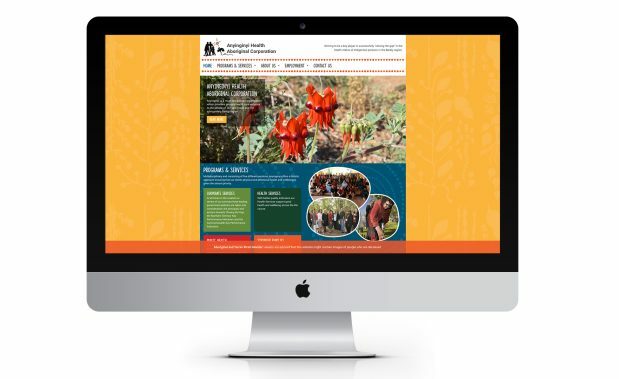 The website also serves to increase transparency and accountability, as it reports on the organisation’s operations and achievements, so we align the design with their annual report to aid in finding information easily.